I've decided that meatloaf has an unnecessarily bad rap. There are so many ways to mix and match meatloaf and chock it full of flavor and good veggies. I found this recipe for BBQ Turkey Meatloaf cups and was instantly sold. I liked the idea of individual cups instead of a whole loaf because they would make great leftovers for lunch the next day. Filled with veggies and topped with a dollop of mashed potatoes, these meatloaf cups were my favorite thing I ate all week. Don't let the semi-long ingredient list fool you. This recipe is all assembly! 1. Preheat oven to 400 degrees and spray a muffin tin with cooking spray. 2. In a large mixing bowl, mix all ingredients except for the BBQ sauce with your hands. 3. Fill each muffin tin with about 1/4 cup of turkey mixture. 4. Brush BBQ sauce onto the top of each turkey muffin. 5. Lightly spray a piece of foil with cooking spray and cover the muffin tin, cooking spray side face down. Bake for 15 minutes. 6. Remove from oven, remove foil, and bake another 20 minutes or until the internal temperature reaches 165 degrees. 7. 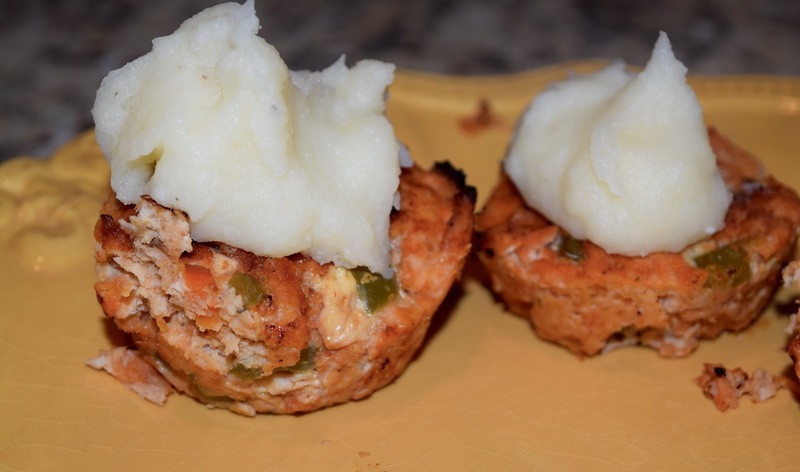 Remove meatloaf cups from the tin and top with a dollop of mashed potatoes to serve! Yum! This is such a fun recipe! 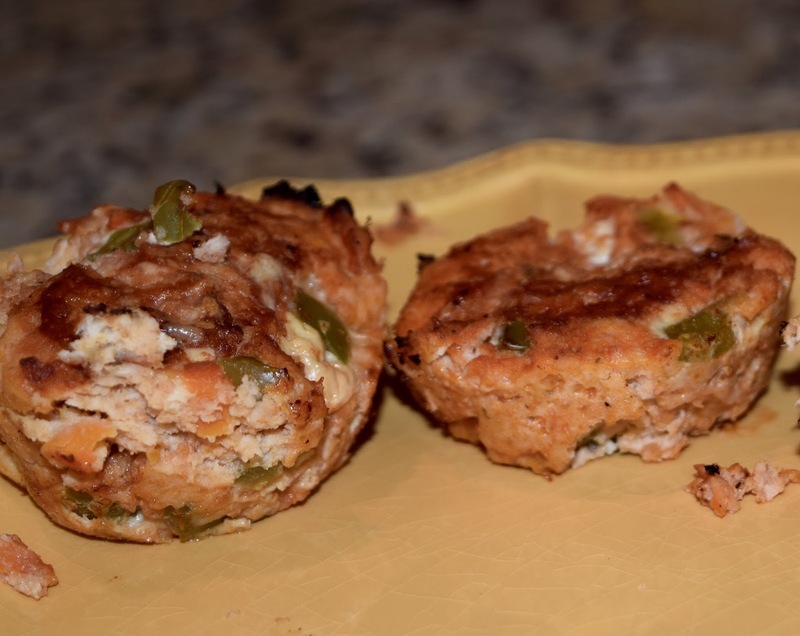 I love recipes like this-- and I love meatloaf, so this is a total win! Plus they look so cute with the mashed potatoes on top! Parents in Virginia, Round 2!